I am a huge breakfast fan. It is absolutely my favorite meal of the day! 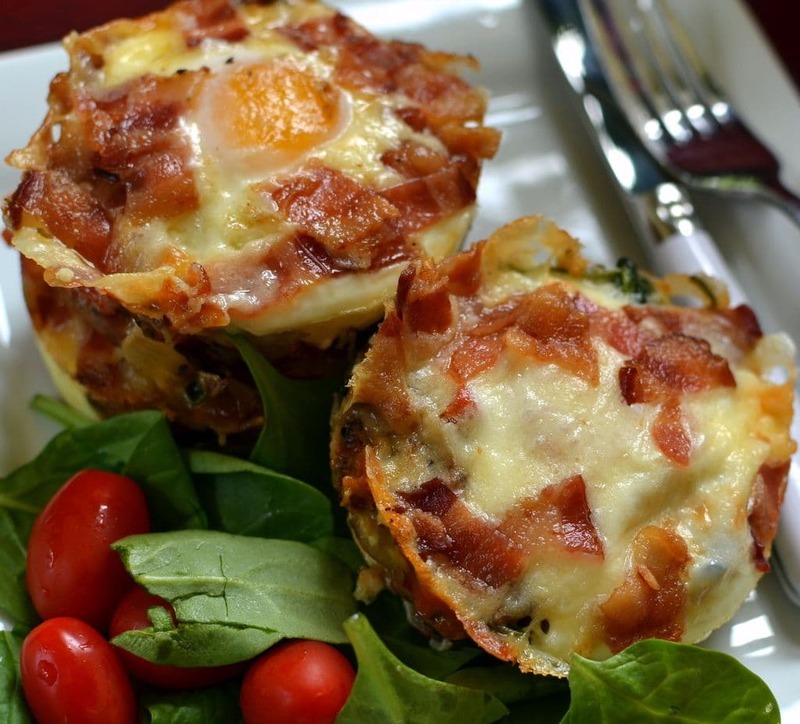 There is just something amazing that happens when eggs, cheese, and veggies meet bacon, sausage and ham. It is as if the starts have aligned or at least for me it is. 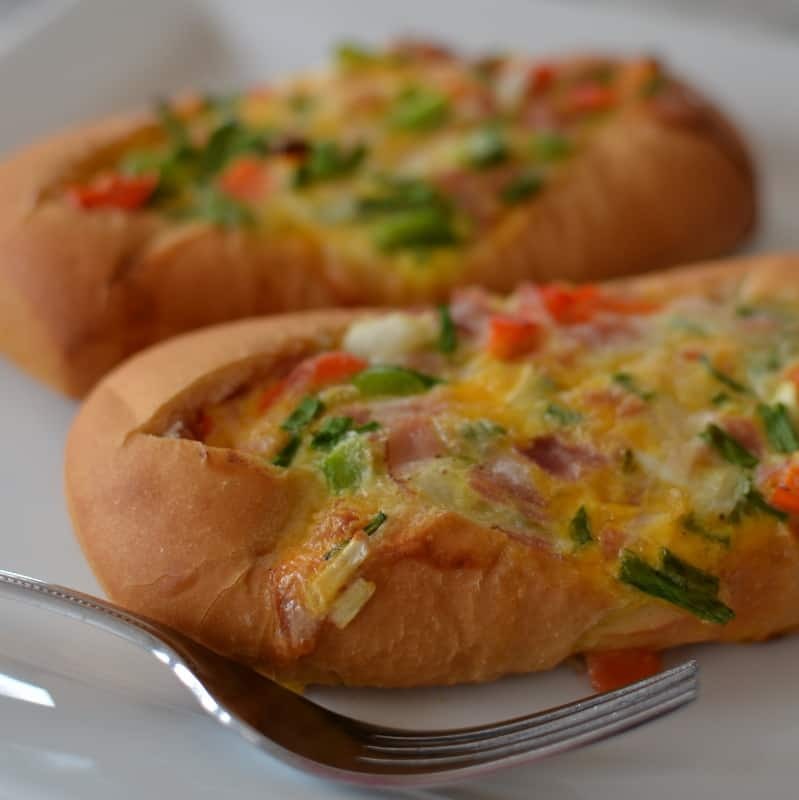 These delicious Ham and Veggie Breakfast Boats are so easy to whip up and the mixture can be made ahead of time making it perfect for company however wait until you are ready to bake to pour them into the rolls. They bake up well in baguettes, hoagie rolls or even a full loaf of french bread. When I cook them I cover them loosely with aluminum for the first fifteen minutes so the bread does not get too brown or get too hard. Do you like breakfast as much as I do? 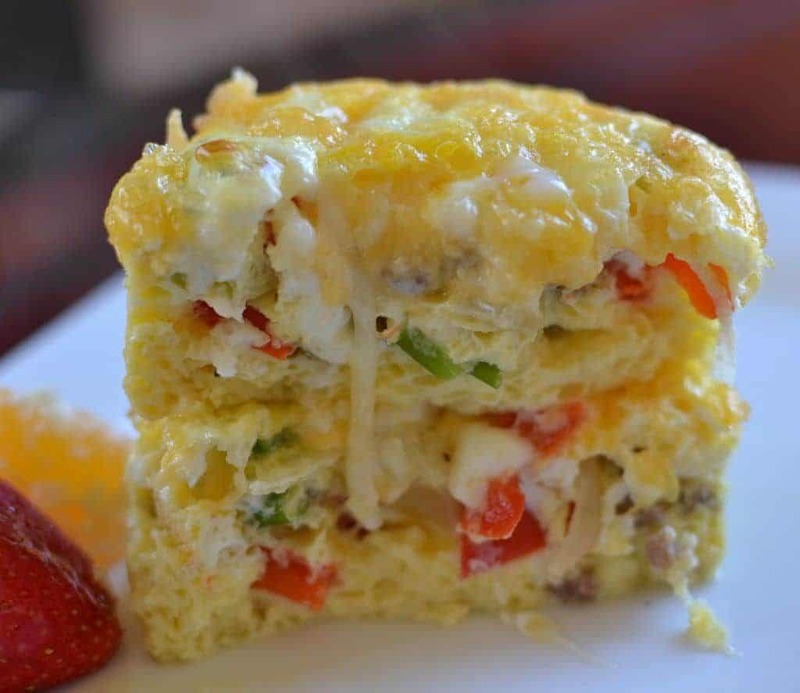 On the Go Sausage Cheddar Breakfast Muffins, Cheesy Pepper Asparagus Breakfast Casserole and Overnight Cheesy Egg Casserole are some of my favorite breakfast recipes. Of course my absolute favorites are egg casseroles and dishes but I also love pancakes, waffles and french toast. This Caprese Quiche from Lemon Tree Dwelling is a fellow family favorite! 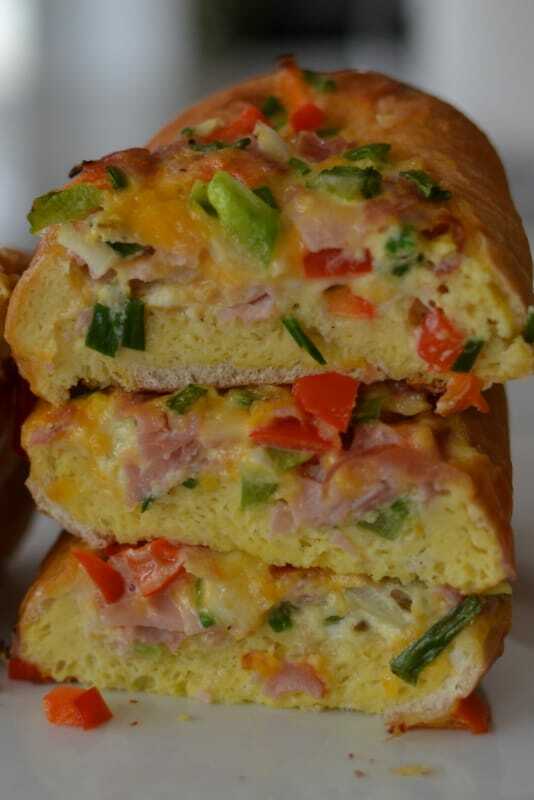 Ham and Veggie Breakfast Boats combine lean ham, red pepper, green pepper, onions, chives, cheddar and monterey jack. You can swap out other veggies if you like for instance mushrooms, broccoli, zucchini or asparagus. You can swap out other cheeses like mozzarella and Parmesan or white cheddar and havarti. The combinations are endless and as long as you finely chop your vegetables everything should work out as planned. You will want to cut a V shape in the top of your bread or rolls and hollow them out as much as you have patience for. Leave about 1/2 inch border to make sure the roll supports the egg mixture during baking. 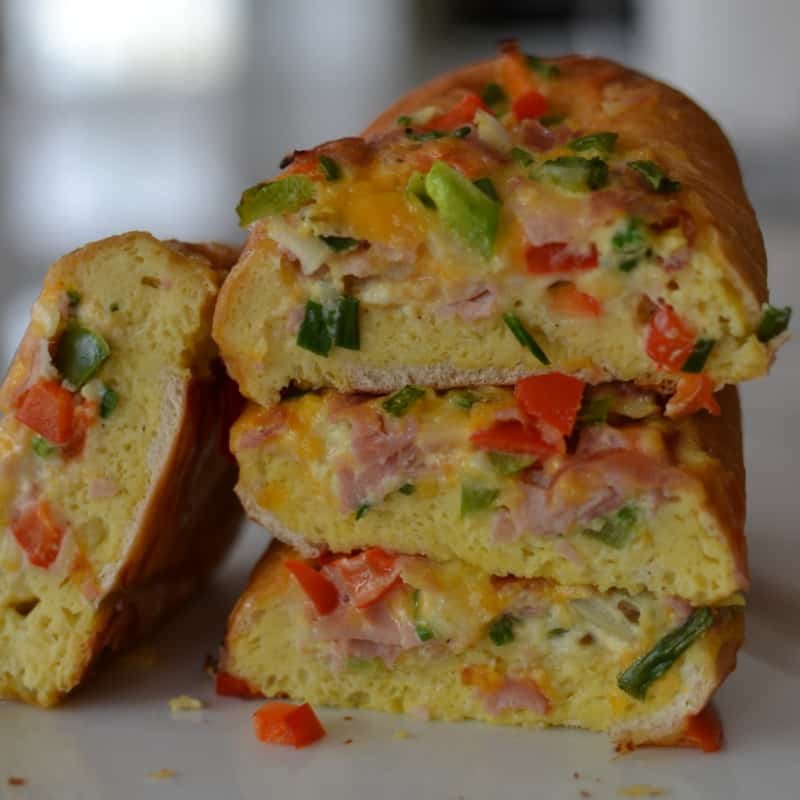 So if you are an egg and cheese lover like myself than you must try these Ham and Veggie Breakfast Boats. They are perfect flavor blaster for early morning hunger. You will be full of wholesome goodness and ready to take on the world. Cut a V shape into each baguette and hollow out leaving about 1/2 inch border of bread. See picture above. Place on lightly greased baking sheet. In medium bowl whisk eggs and cream. 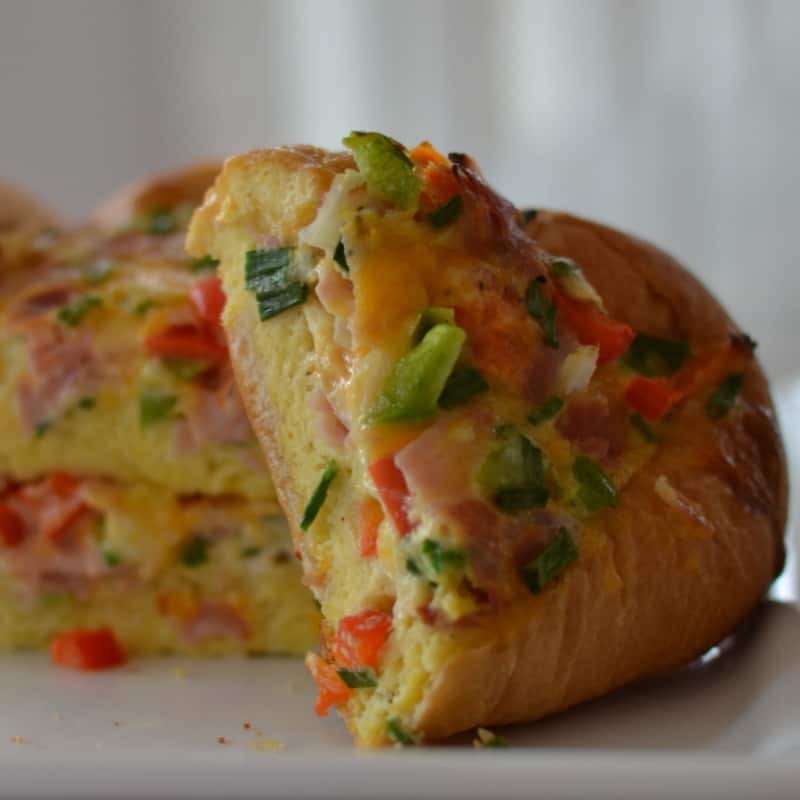 Stir in green pepper, red pepper, onion, chives, ham, salt, pepper, cheddar and Monterey Jack. 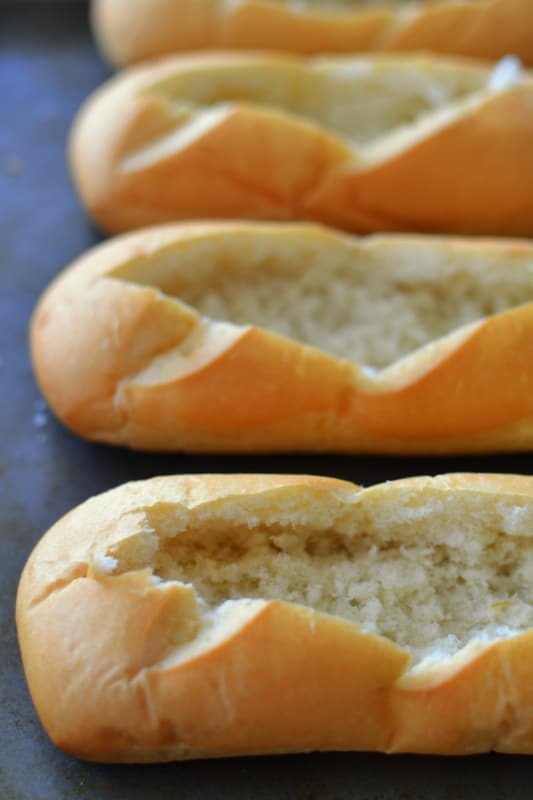 Divide the egg mixture evenly between the bread boats. Cover loosely with aluminum foil. Bake for 15 minutes. Remove aluminum foil and cook for additional 15 minutes. Cool for 5 minutes before slicing. These look so fun! And with the hoagie rolls the bread won’t get mushy. Fabulous! Thanks Mimi! I love a good breakfast.